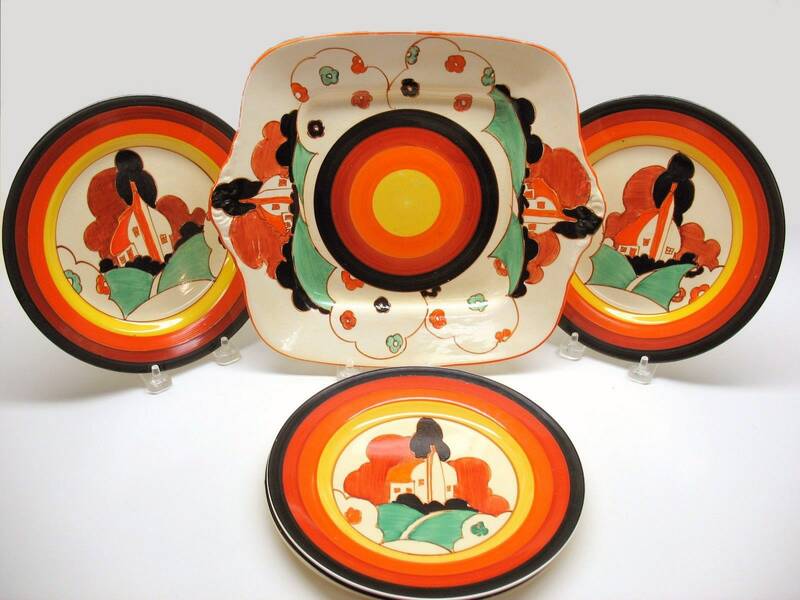 Art deco (1930s) Clarice Cliff Fantasque Farmhouse hand-painted set. Lugged serving plate and 3 side plates. Bizarre Ware. 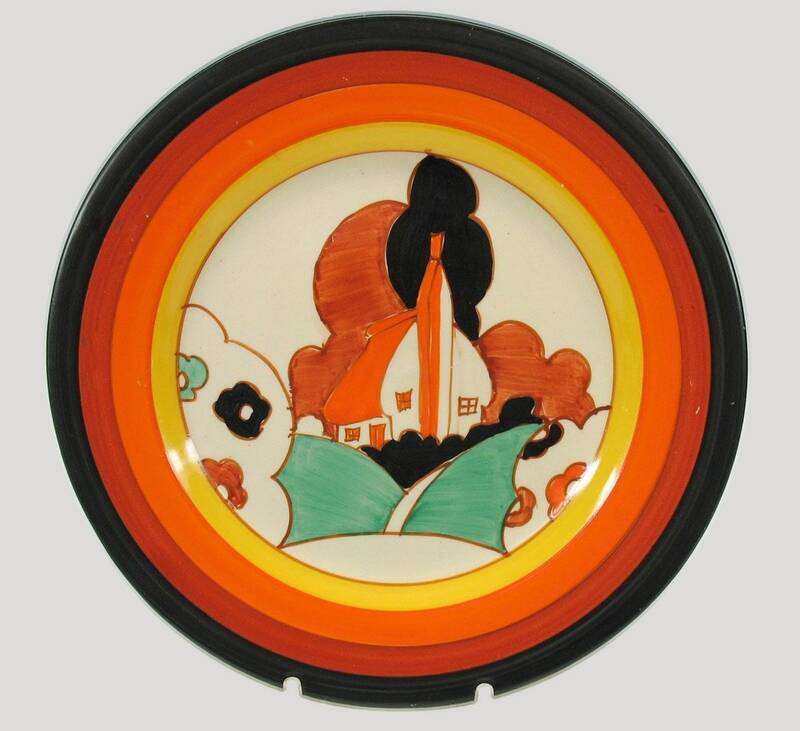 Newport Pottery. 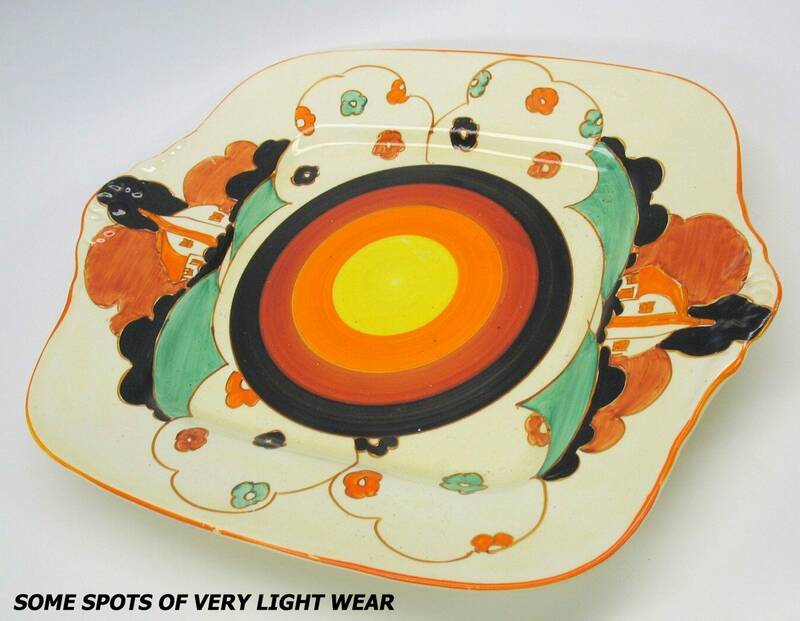 Art deco (1930s) Clarice Cliff Newport Pottery Fantasque Farmhouse pattern hand-painted cake serving set consisting of one lugged | handled serving plate with 3 side plates. 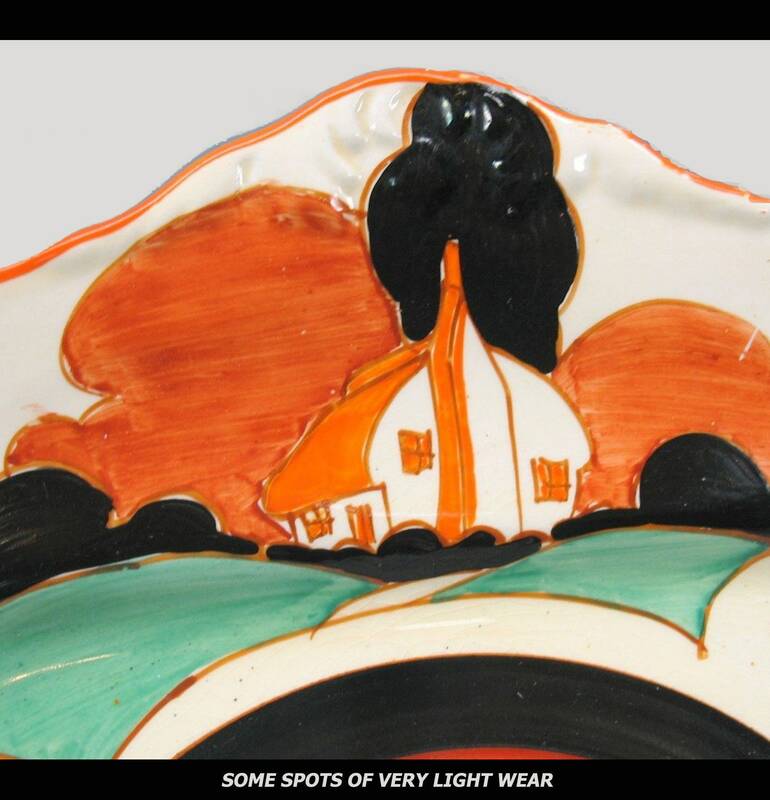 Original Clarice Cliff Bizarre Ware. In EXCELLENT! and seemingly little-used condition, probably used as cabinet display pieces, with NO! chips, nicks, cracks or fleabites, VERY MINIMAL! overall crazing (considering the age of the pieces) and NO! fading. There are a couple of very WEE! spots of browning - hardly of notice - but please review each of the posted photos for a complete visual of the items. Approximate measurements: lugged serving plate measures 11" x 9-1/2" | side plates measure 8" in diameter. ** At BuyfromGroovy, we want happy, satisfied customers who would always be pleased to shop with us again. We want our Customers to be delighted with their purchases for many years to come and to always feel they received excellent value and service from us. To promote this end, we do our best to identify any and all flaws or defects in our listed products, as such exist. We believe strongly in the WYSIWYG principle. What you see IS what you will receive from us. All products sent to you are exactly the same as the ones pictured and described in our listings. We make NO! substitutions ever, period. The pictures in our listings are worth 1,000 of our words and form the single greatest part of the item descriptions. For this reason, we recommend customers ALWAYS review each of the posted photos, making use of the ZOOM! feature to enlarge the image and see the item(s) close up in the greatest available detail. 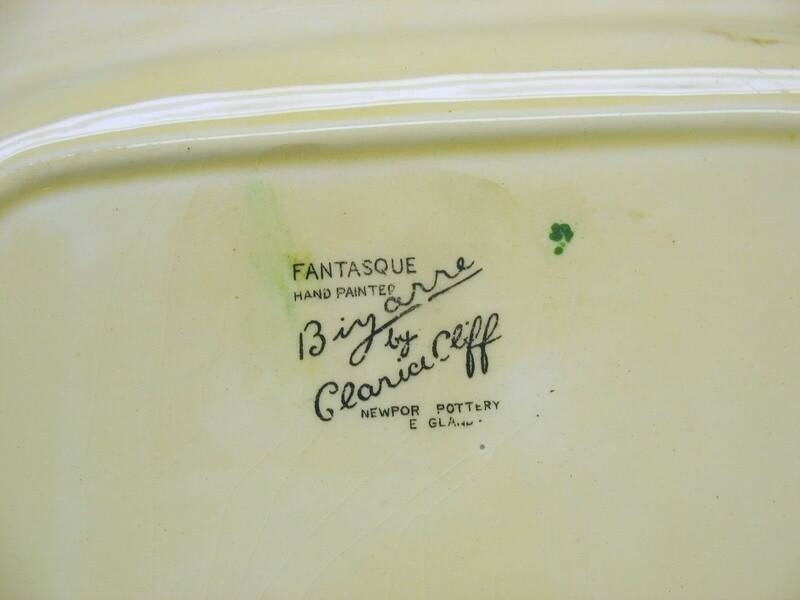 We believe viewing each of the photos and zooming in on them (particularly with china and ironstone pieces that have a tendency to craze and/or fade over time) ultimately helps to ensure the item(s) you receive will meet your personal expectations. PLEASE NOTE: The Combined Shipping Discount does NOT apply to the sale of this item.